Pulmitan de Liberia is a long-range bus line connecting various parts of Costa Rica. Consider riding with this company, especially if you’re interested in a one-way trip out of one of Costa Rica’s two major cities, its capital San José or Liberia. Get to the station with time to spare for multiple reasons, including toileting, seat availability, and any unexpected issues. You’ll need cash to purchase your ticket. The ticket office does not accept credit cards. There is a Scotiabank close by to make an ATM withdrawal at. The cost for the non-direct bus connecting San José and Liberia was ₡3,965 (approximately $7 given the exchange rate at the time) as of the end of January, 2018. This does not get you to the airport in Liberia, but to the bus terminal in the town’s centro. From there, you can catch a separate bus to the airport from a nearby stop, or pay extra in San José for a ticket to Playas del Coco. The latter route will go by the airport and you can hop off there. As with most things in Costa Rica, you can pay in colones, the local currency, or greenbacks. There are direct and non-direct buses going between places that you’ll need to choose from, and prices are different, as are travel times (though not by a terrible amount). The station offers various services, including bathrooms (₡200/about $0.35 per use); a kiosk to get SIM cards and buy airtime for all three major local cell phone carriers; a couple of places to buy a quick bite to eat or snacks for the road; and seating to relax in while you’re waiting for your bus. There are no bathrooms on the bus, so use the ones at the station or otherwise plan accordingly. The bus connecting San José and Liberia makes one stop at a roadside food/market/toilets complex to take a break for about 20 minutes. Getting off the bus at any other time besides your arrival at your final destination is basically a no-no. 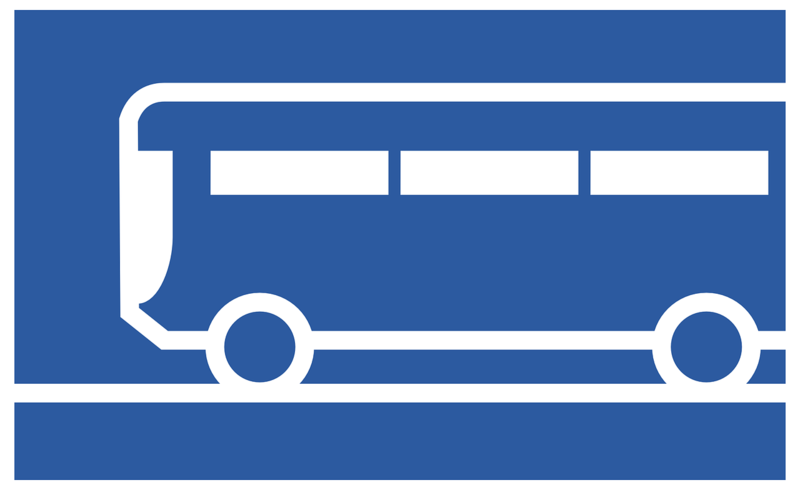 There is a driveway in which the bus will appear and park for boarding. Pay attention to what is being called out ahead of your bus’s departure time. Verify any details with the driver, who should be standing near the bus, including ultimate destination. When it’s finally time to board the bus, throw your large bags below and keep your small ones (including valuables) with you. The driver should be there to point out which part of the bus’s cargo bay corresponds with which destination, luggage-wise. Tickets have assigned seats, and people tend to pay attention to that – it’s not a free-for-all. Sit where your receipt indicates you’re supposed to. My bus left pretty much on time and it was near full. We picked up more people along the way after leaving the station, so it was quickly standing room only. All told, the journey took a about 4.5 hours on a non-direct, or “normal”, bus. See photos at the bottom of the linked page for specific schedule details for this route. It was a Saturday at the end of this past January, and I was up mega early in order to catch a bus from Costa Rica’s bee-hive of a capital and its largest population center, San José, located in the south, on up to Liberia, the country’s second largest city and growing international flight destination, located in the north. My ultimate objective was to cross the border into Nicaragua that evening, but I had to stop by the Liberia airport (Aeropuerto Internacional Daniel Oduber Quirós ~ LIR) along the way. Uber got me to the Pulmitan de Liberia bus station in the heart of the city. I had heard about the bus line while asking for advice in Playa Grande earlier in my trip, and I was shown this useful website at the time. Now, here I was. I had been contemplating driving myself all the way to Liberia in the car I had been renting, and dropping it off at the airport up there instead of back at the airport drop-off location in San José where I originally picked it up from. However, that would have amounted to paying an additional $50 fee, which was guaranteed to be much more expensive than a one-way bus ticket. That extra cost also didn’t factor in the additional gas I would use and need to replenish before returning the vehicle. 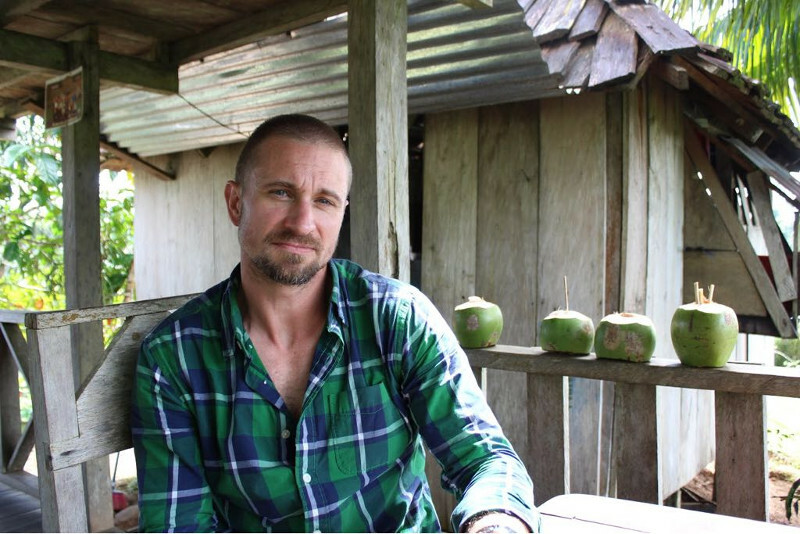 Besides, I had driven enough in Costa Rica – really all over the country by that point, out from the capital and back – and I was ready to sit back and let somebody else do it for me for a change. I thanked my Uber driver, grabbed by bags, and popped into the station. As you enter, you’ll see a schedule board on the wall further down on the right-hand side. The ticket office is down the entry hall on the left. If you don’t have cash on you, you can stop right there and go back out to the nearest ATM (Scotiabank). The non-direct bus connecting San José and Liberia ran me ₡3,965 (approximately $USD 7 given the exchange rate at the time) as of the end of January of this year. Note that this does not include a stop at the Liberia airport, but does get you to one of two central bus terminals in town, a sort of bus depot area spanning a couple of blocks with neighboring market stalls. From that general area, you can catch a separate bus to the airport at a nearby stop, or pay extra while you’re still in San José for a ticket to Playas del Coco. This latter route will go by the airport and you can jump off there. So you know, by all accounts, the travel time for a non-direct bus to any given destination is only somewhat longer than that for a direct bus (you add perhaps 30 minutes to an hour to your total trip time). This is because both the direct and non-direct buses make stops, it’s just a matter of how many. I elected to go to “La Terminal” (simply the main Pulmitan de Liberia destination terminal) in Liberia, then hop a local bus to the airport. Having done it, I’d recommend not doing it if your final goal is simply to make it to the Liberia airport from the get-go. It isn’t worth the waiting and corresponding waste of time in town. One of the reasons I did choose to do things the way I did was to familiarize myself with the location of the bus terminals and give myself a better sense of where I needed to be later on in order to catch a bus to the border with Nicaragua. That morning, I myself didn’t have any money on me upon arriving at the Pulmitan de Liberia station in San José, neither colones nor dollars, so I hit the ATM mentioned previously and withdrew colones, then returned to purchase my ticket, buy more cell phone credit with Movistar, use the restrooms, and pick up a coffee. This is a sampling of the services available at the station, and I used efectivo (cash) for each one. I knew I would also need cash to pay for other things later, including the other buses I’d be taking as the day wore on. As an aside, I always recommend using local currency pretty much whenever and wherever you’re traveling, unless you’re in the midst of an unfolding economy-wide financial crisis in some corner of the world. You’ll end up saving a bit, more often than not. The way the station is laid out, it’s pretty obvious where everything is. We’ve reviewed the entryway already. The rest of it, well, it’s kinda just a big hall. When you turn away from the boletería (ticket counter) toward the inside of the station, there’s a small kiosk off to the side where you can buy airtime with any of the three major cell phone carriers: Kolbi (the best provider in Costa Rica as far as coverage goes), Movistar, and Claro. From there, you’ll face the arrivals lane. In the corner, you’ll find the restrooms with a service counter just before them where you pay the small charge (again, ₡200/about $0.35 per use) and get your toilet paper (the bathrooms were in decent shape, by the way). Along the side to the right of the restrooms, you’ll see the food-related businesses: a small market and a soda, which is a quick-serve establishment where they have what is basically ready-made food for sale at a counter. There are tables at which one can sit to eat or have a coffee. If you keep rotating around the hall, you’ll see the area where buses pull up and passengers board. Continuing around, there’s a lottery ticket kiosk/gift shop type affair. The majority of the main space in the hall is taken up by seating. Take the virtual tour. I had arrived early and was glad to have done so, what with needed to withdraw cash, get my ticket, purchase airtime, use the bathrooms, and get a coffee. After a bit of sitting around and messaging with some folks, my bus arrived. I had to be paying attention to what was being called out by the drivers here and there as other buses cycled through one-by-one prior to mine appearing. The driver of my bus was standing outside of it next to the cargo bays, answering questions and directing people as to where to put their large packs and containers given their destinations (the buses make stops to pick up additional people and drop others off along the way, no matter whether it’s a “direct” or “non-direct/normal” bus). I confirmed that he would be taking that bus where I was intending to go, then threw my larger pack in the cargo hold and boarded with my smaller one, making sure I had my valuables with me inside the bus. Upon boarding, I noticed that folks who had already boarded were dispersed in such a way that seemed to indicate that they had a reason to be sitting where they were sitting, that they hadn’t just positioned themselves haphazardly or where they felt most comfortable. That’s when I realized that, yes indeed, my ticket receipt had a seat number printed on it. People were paying attention to that and acting accordingly, so I did too. Once in my numbered seat, I took my Dramamine. I’ve used long-range bus service in Mexico extensively and have learned my lesson all too well. Later, when the driver had turned off the air conditioning after expressing his irritation with passengers who were opening windows because they were dealing with bouts of motion sickness and then at least one small child was vomiting and then the bus driver was chastising the father as to why he didn’t buy his child some “pills” during one of his occasional stops in between careening down the highway like a bat out of hell, all the while overtaking smaller vehicles and gobbling up the road, well…I was glad to have done so. But we hadn’t left yet and I couldn’t see the future thaaat clearly, I just had a hunch is all. If you get motion sickness, now’s a good time to take your Dramamine! Don’t second-guess this. Bus drivers take the road differently down there. Eventually, all the passengers settled in, leaving a couple seats vacant still. The bus was fairly full, though. The driver boarded and got situated, and ultimately got us out of there pretty much on time, which is not always a thing in Latin America. I was taking the 9am “normal”/non-direct bus myself. The ride started off being fairly smooth, but it wouldn’t take long before our driver was passing slower-moving vehicles frequently on what became a two-lane blacktop. Then we were in the curves, and a single, solitary window was slid open, sparking a reaction from the driver during a stop and threats of shutting down the A/C, in turn drawing groans from other passengers. That window went back up, for a little bit anyway, but it wouldn’t last. It would come back down, as would others. As the A/C was switched off, what with the open windows and all, things began to heat up. It was a sunny day at the end of January and it was plenty warm on that bus. It was beyond time for my shell to come off. This is in part to say that you may start your trip off wanting a sweatshirt or shell on you against the morning chill or A/C inside the bus, but be prepared to take it off. Given the way in which the driver was handling his Bugatti limo, it would be a relief when we got to the pre-scheduled rest stop some two-plus hours into the journey. I believe it was here, before we got off to get snacks and use the bathrooms, that some plastic bags would be sent toward the back. This is also when the driver would toss his “pills” comment at the father, if I remember correctly. Suffice to say, he wasn’t as friendly of a dude as so many other Costa Ricans genuinely are. At the roadside complex, the bathrooms were straight in and to the right around the corner to the back. Sustenance-wise, we had our choice of the usual convenience-type junk at the market, like chips, soda, and candy. There was also a restaurant serving hot food cafeteria-style, which didn’t look awful but wasn’t appealing in the moment. I was glad to happen upon a juice bar on my way back out, and that’s where I dropped a few more colones on something to tide me over for the rest of the ride. Following a break of around 20 minutes, maybe a little bit longer, we boarded the landrocket once again and took off. It was during this second half of the journey that I committed my only infraction, when I mistakenly thought during a stop some ways down the line that we were already at the terminal in Liberia. I got off the bus, along with a few other passengers who knew where they were. I swore the driver had nodded in my general direction. Why I thought that, I have no freakin’ idea; fatigue, or something. Mr. bubbly driver man wasn’t pleased. Apparently, the drivers can get dinged for allowing people off the bus and back on without charging them for new tickets, which I can’t say made a whole lot of sense to me at the time when I was in possession of a printed ticket receipt and hadn’t strayed from the area, but hey, the type of logic he was invoking is not my area of expertise. I requested forgiveness and got back on to find that my seat had been taken by somebody who had been standing since they had boarded – which meant for a long time – as if the cosmos was wanting to rub it all in. Yep, got it, my stupid, I’ll just take over standing somewhere down the aisle over there, now. We got underway again and I made a note to myself to make sure of our position before getting off again thinking I was at my destination. However, when we did finally arrive in Liberia, it was blatantly obvious, of course, in part because the majority of remaining passengers became restless and then began actively prepping to unboard the bus. I gotta admit, I still asked another passenger for verification that we were at the terminal. And then, after some 4.5 hours on the road all told, the trip was over, and I was waiting to get my bag from the bus’s underbelly. What should happen but a fellow passenger, a mother, should see me standing there, observe that a backpack that matched the color of the one I already had with me on the ground was still stowed in the cargo hold underneath there, and tell her son to climb in there and grab it for me. What the… For real? You can believe I thanked them for their kindness. Unprovoked, she proceeded to go even further out of her way and instruct me on where to find the next bus I would need to take to get to the airport, even walking me part of the way through the station to help me get a visual. In those moments, I was reminded yet again of how gracious and generous people can be, especially in this part of the world. With more thanks given, we split up and I was on my way, resuming my approach to the local airport, which was to be followed by my final objective for the day…Nicaragua.